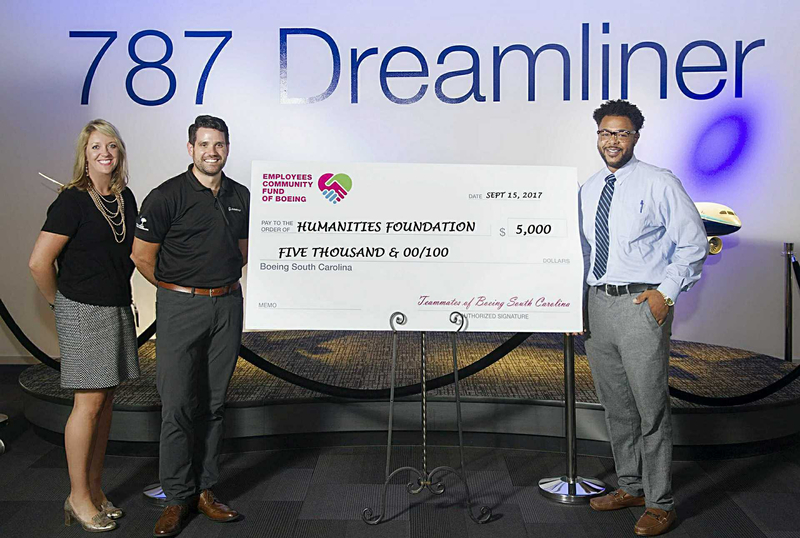 Humanities Foundation receives a $5,000 grant award from The Employees Community Fund of Boeing South Carolina. We are most grateful for this support of our ShelterNet program. In the past year, ShelterNet has assisted over 350 families who were at risk of losing their utilities or of being evicted from their homes in the Tri-county area around Charleston. “By helping with past due rent and utilities, ShelterNet prevents the people in these households from becoming homeless or helps them to return to stable housing if they are already homeless,” Tracy Doran, President of Humanities Foundation. The Employees Community Fund of Boeing South Carolina (ECF) is a unique employee giving program that allows employees to support the needs of the local community in an impactful way. Boeing’s ECF is the largest employee-managed fund in the world. Since, 2012, Boeing South Carolina teammates have given more than $1 million to local nonprofits through ECF.